62cm wide by 242cm long. This one-off traditional textile is 100% cotton & hand-woven in Timor-Leste by LO’UD Cooperative weavers. 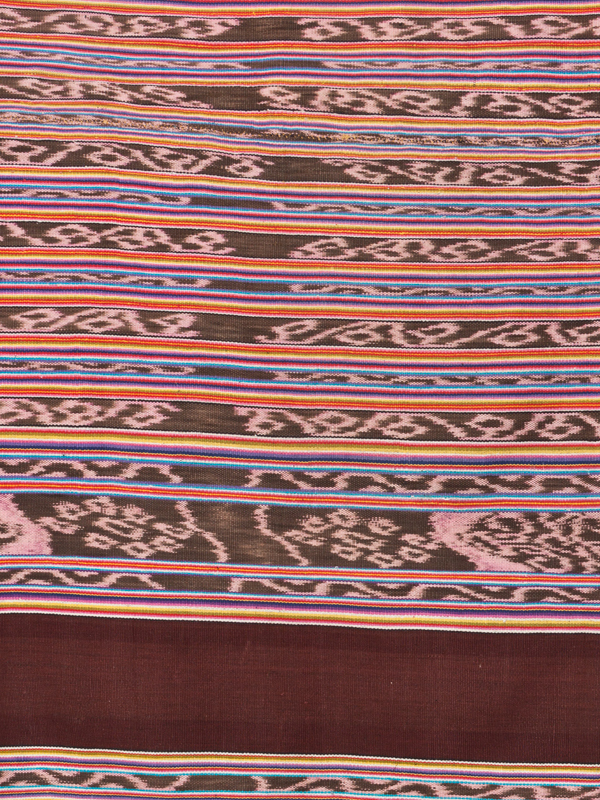 Produced for celebrations such as weddings & new life, the bold & muted colours were selected by the weaver. Featuring Futus, an intricate tie-dye technique used for creating motifs of cultural significance. Traditional design sewn for customary wear. SKU: TR-F-02. Category: Textiles. Tags: Black, Blue, Brown, Commercial Dye, Futus, Ikat, natural dye, Orange, Pink, Purple, Tais, Traditional, White, Yellow.